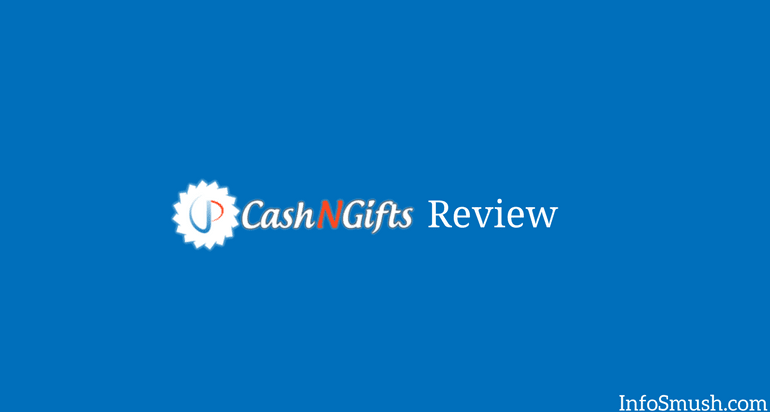 CashNGifts can be accessed from your PC or any Browser or you can download the app for your android device. 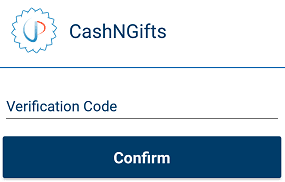 Some features of CashNGifts are only available on the App. CashNGifts even has its own ebook that explains the different ways to make money from CashNGifts. But it's a bit outdated. Don't worry I've gathered all the fresh info in this review for you. 1. Download the CashNGifts app from this link or go to CashNGifts.in. 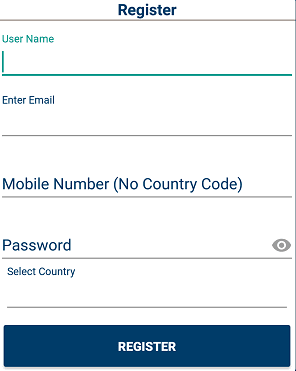 Hit the Register button & fill the form that appears. 2. After you have filled all the boxes hit the Register button. & paste the code to verify your account. 4. 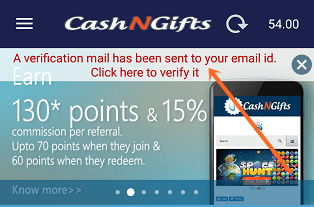 Once you have verified your email you can log in and start making money with CashNGifts. You will earn 1-4 points for logging in the app and 1-4 points for logging in the website. So you can earn up to 8 points earn up to 8 points every day just by logging in..
You can earn 0.1 points per video. You can view videos in the app only. You can also earn points for playing games. CashNGifts has 100s of games to choose from. You can play games from categories like arcade, quiz, word, strategy, card and puzzle. So, why are they paying you for playing games? Well, because on the game-page they display ads on the right side of the screen. They earn by displaying ads & share the revenue with you. When you’re done playing don’t close the window or tab directly. If you do this, you won’t get your points. There is a Finish button below the game, always use that button to end the game. You can play games on the website(PC) as well as the app. Points are added to your account within 5 minutes. MemeRewardz is a “meme social media” powered by CashNGifts where you can earn CashNgifts points by creating your own memes. Every week top 25 users (to get the most likes) win points. The user with most likes gets 120 points. You can also earn points by unlocking various Achievements. You can earn points by completing offers from over 16 offer walls. You can earn by completing daily surveys. Every day you can participate in up to 5 CNG lotteries. Each lottery has different Prize and price of the ticket. The more tickets you purchase the higher your chances of winning. In this contest, the top three earners win points. The 1st, 2nd and 3rd prizes are 350, 250, and 150 points respectively. To compete in this contest you must earn points by completing offers. As the title suggests, to compete in the referral contest you need to refer your friends. The prizes and prize distribution are the same as the highest monthly earner contest. Spin & Earn is only available for the app. In Spin & Earn you will win activity points/scores. Every day top 40 users with the highest “activity score” are rewarded with points. You can spin every 10 minutes. In this section, you can earn points by solving mathematical questions. For every right answer, you will earn 0.1 point which is too low to bother yourself. Solve & Earn is available in the app. You can get 7-500 points when you open one lucky box. Each box costs 20 points. Like the Spin/Solve & Earn this too can be accessed through the CashNGifts app. This pretty much works the same as Savemonk. You select the store and follow the instructions to get the specified cash back. The only difference is that you’ll earn CNG points instead of cash. As you can see in the above screen; If you have 0-49 referrals you will get 60% of the cost of their first redemption and 15% of their earnings by completing offers. Now for 50th to 199 referrals, you will get 15 points when they join and verify their email and 60 Bonus points when they redeem for the first time. Your friends also get 50 extra points when they sign up with your referral link. You can redeem your points for PayPal cash, Paytm cash. Amazon gift cards, Flipkart vouchers, mobile recharge, cash (bank transfer), electronics & products and more. You can withdraw your coins as soon as you have 1,000 points = Rs.100 for Paytm cash. For PayPal cash, you need 1400 points to withdraw $2. Yes, it is a legit app.